In the business world there are all kinds of gatekeepers. Some are called Receptionist, others are Executive Assistant, and then there is the In House Recruiter. Their job is to cut out the noise. What noise? Sales guys who don’t sell what a company would need, low priority issues on the CEO’s calendar, and candidates that don’t have direct experience in the required field. At Turner Machine, I am the gatekeeper for all the applicants that send in their resume. So what can you do you get noticed? To get moved to the next step? To get the interview? In bullet form below here are my top 7! Look at the website and familiarize yourself with our company. Make sure you have a passion for what we do and your experience matches or you have a passion to learn. Address me directly. My name and email is all over the website. If you send an email to the contact us email I know you didn’t do any research. Apply directly from our website / careers page. It puts you directly in the candidate portal and you will not get “lost”. Make sure key words are in your resume. 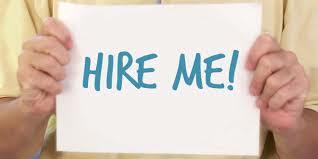 If you used SolidWorks, Mastercam, Bridgeports, CNC’s, hydraulics, pneumatics, or even hand tools, put it in the resume. Also, if you haven’t, DON’T! When it ask what makes you unique, be creative and truthful. I have brought candidates in based solely on this answer. Salary requirement. Yes this one is tough. But let’s be honest, do you really want to go through 3 interviews and then find out that we can or can’t meet your requirement? Let’s get this done first. Follow up call. After you have applied and a few days have passed, call in and talk to me or my voicemail. This is a great time to ask strategic questions and make sure we understand that you do exactly what we are looking for. What is a “Great” Employee? Is your Office Manager a Rock Star "Gate Keeper"?